Winter camping; many people should not think about it. Despite this, we see a considerable growth in the demand for accessories for camping in the snow and / or ice cold. With a suitable equipment it is after all a wonderfully refreshing way of relaxing. 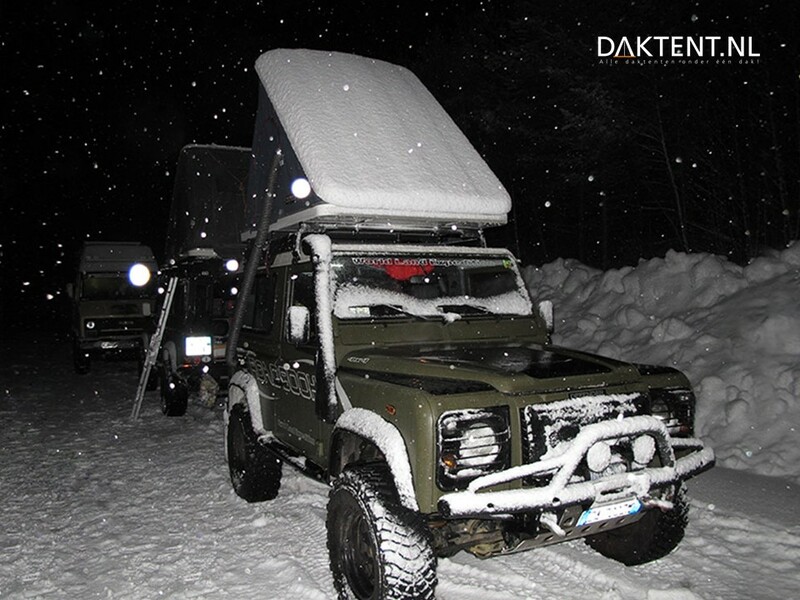 A roof tent is ideal for the winter nights. Your bed is high and therefore you do not suffer from rising ground cold. In addition, there are various solutions to get through the whole night well. 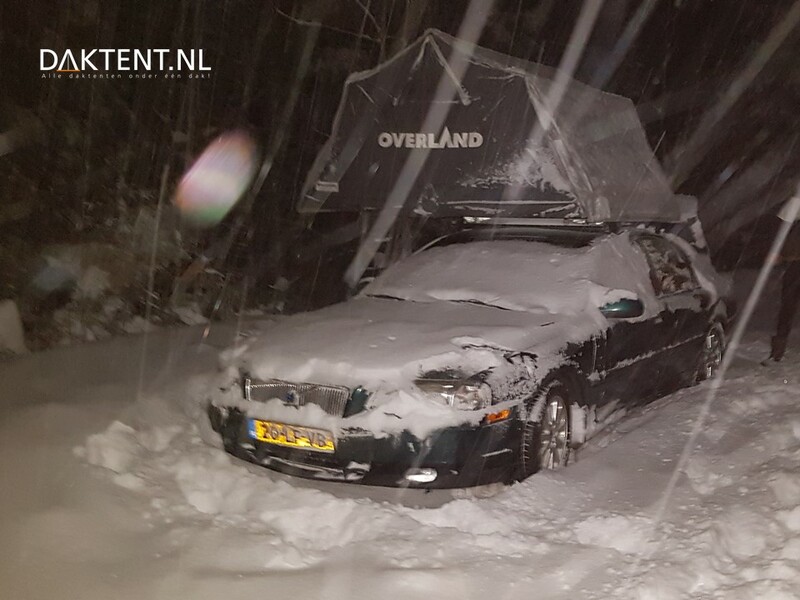 There is a possibility to mount a winter cover or a thermo-inner tent on the roof tent, so that the indoor temperature of the roof tent is approx. 5 to 10 degrees Celcius higher than the outside temperature. Add a good sleeping bag and possibly a hat and you will sleep like a rose. 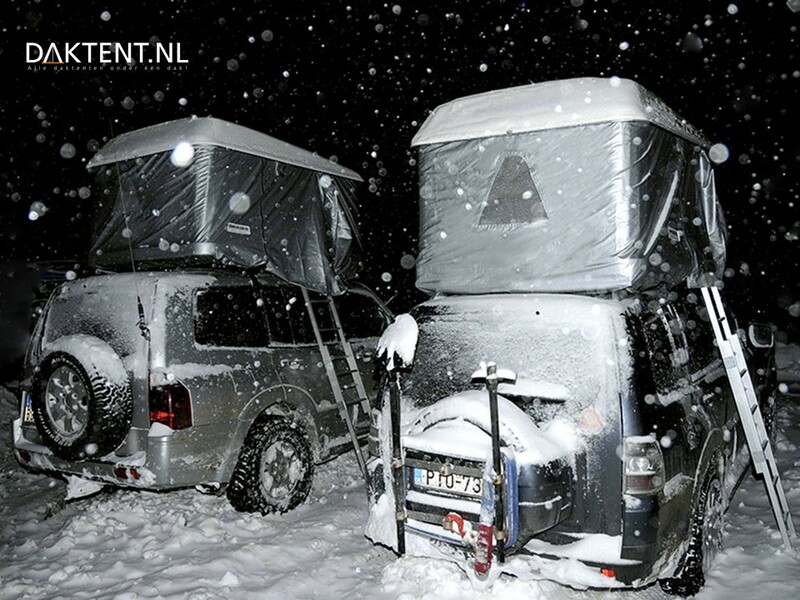 A winter cover for every roof tent? A winter cover provides excellent protection in more extreme conditions. Not only good insulation against the cold, but also against the burning effect of the sun. Usually they are fasten by Velcro or hooks, but the best thing is that the cover can stay (with most roof tents) during the closing of the tent. 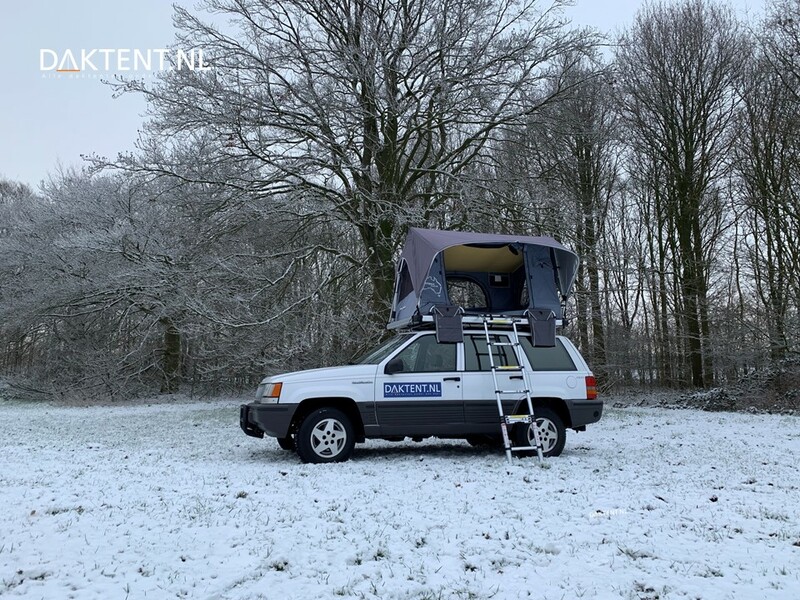 Roof tents with an option for a winter cover are: Columbus, Magiolina, Jimba Jimba, Yuna, Overland, Overzone and the Overcamp. Biggest problem of cold nights is condensation on the inside of the canvas and on the underside of the mattress. 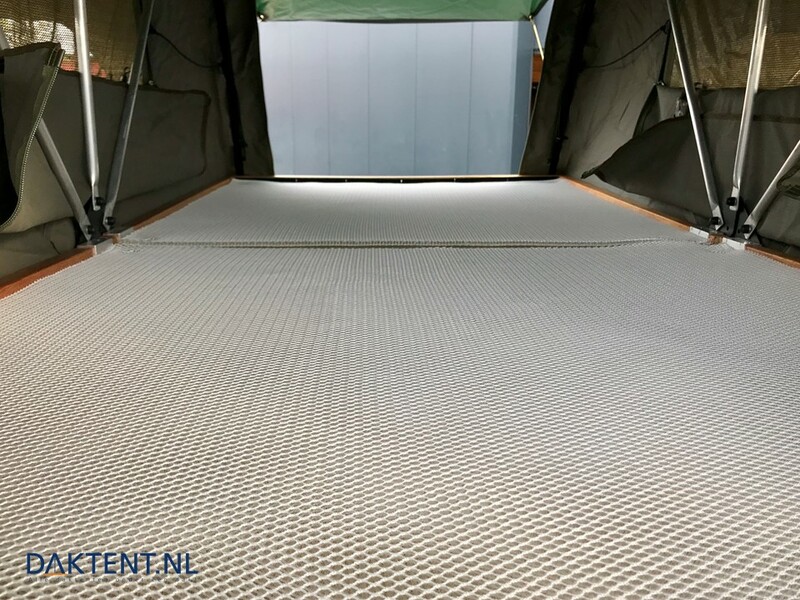 In most cases, the mattresses are directly on the bottom plate of the roof tent, allowing perspiration and condensation moisture to stick under the mattress and thus create a partially wet mattress. A solution is an anti moisture mat. These mats consist of small sturdy hairs and ensure that the mattress is always lifted a small piece of the bottom. As a result, the underside of the mattress continuously ventilates, which ensures a fresh, but especially dry mattress.